In the previous post we have learned , What are Linked List, What are the advantages of using linked list over arrays , what are the disadvantages of using them, and about singly linked list and doubly linked list. Today we are going to learn about circular linked list and multiply linked list. 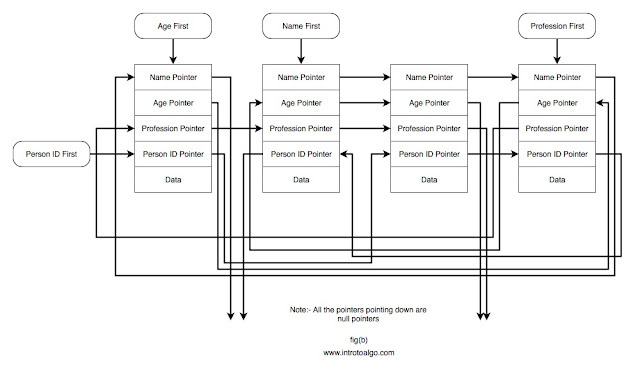 After todays lesson, you will be able to tell different types of linked list, and how do they operate. 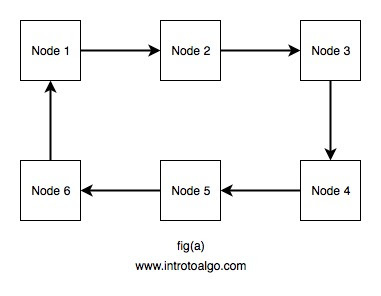 Circular Linked List are similar to singly linked list except the last node points to the address of first node instead of pointing at null. this improves efficiency of the list. 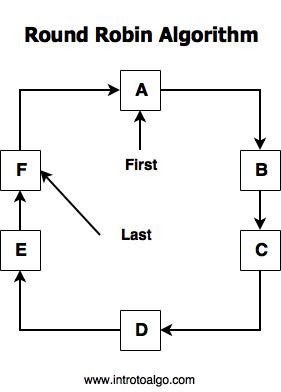 using circular linked list it becomes easy for implementing timed algorithms which we will talk about in later blogs. 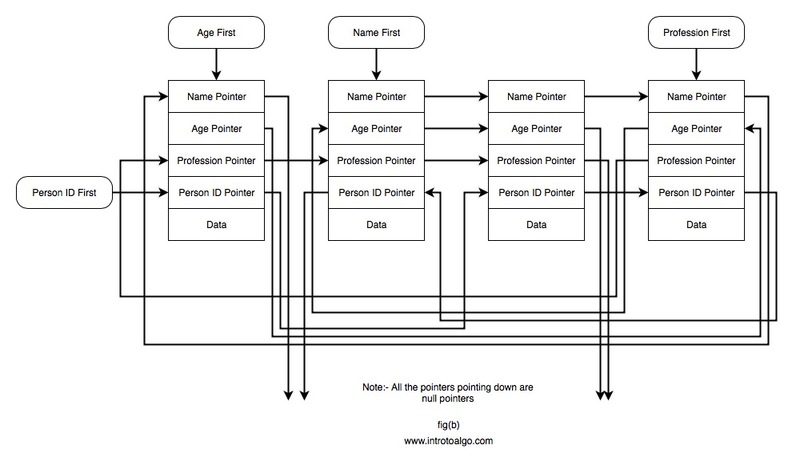 Multiply linked list is a type of structuring data according to use. we use many pointers which point according to the different logic to obtain a linear sequence. Multiply linked list are very useful data structure and can be used in a lot of real life applications. There is not much information available on multiply linked list, so we will discuss it in detail on this blog. Lets take an example of a firm which stores information of different people for different companies such as phone book record holding company, some government census carrying organisation and company statistics organisation. phone book holding company requires the name of person in the particular city in order of alphabets, government census carrying organisation requires us to give them details of persons who are above 18. company statistics organisation requires us to give them the details of the persons profession(student or already working). As we can see there is a lot of complications involved in the given question, this complication can be maintained by using singly linked list in multiple orders. ie. on basis of name, age , profession, id . this would be very inefficient in terms of storage as we will be duplicating the data plus the data which we will enter will have to be entered in all those list otherwise there will be inconsistency in data. to tackle this problem we use multiply linked list. multiply linked list is making a data structure which will store different pointers which make different sequence. hence providing them easy of access and efficient use of space.